Are you ready to become a makeup artist, but don’t know where to start? Follow QC’s free guide to help you decide on the professional makeup training that’s right for you! 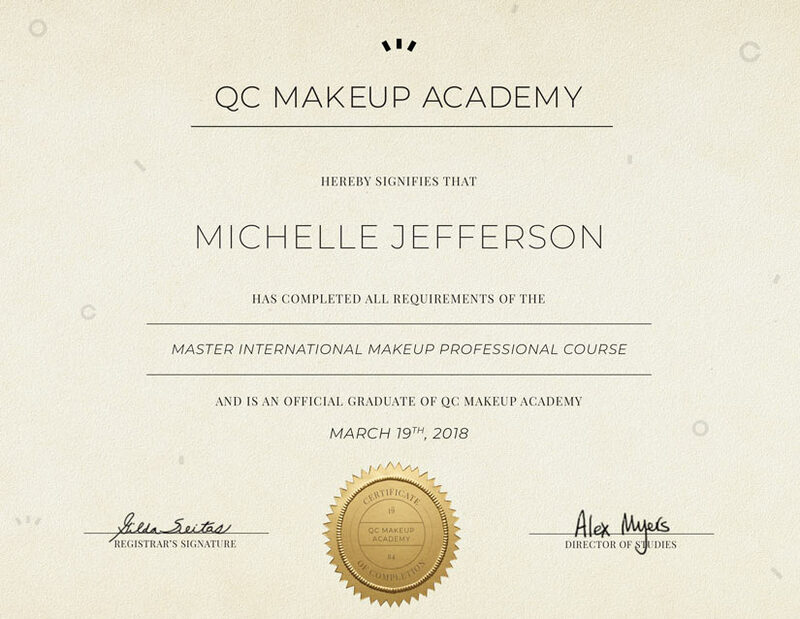 "Nothing is worse than spending thousands of dollars to get training and a license just to find out that it was unnecessary"
QC’s mission is to provide affordable and advanced makeup courses for every aspiring artist! Learn more about QC’s professional certifications to find out if they’re right for you. Do you know the difference between makeup artists, cosmetologists, and estheticians? Find out in QC’s e-book! What education do they need? View job descriptions to start your career! Find out more about each career path in the beauty industry. Many trained makeup artists develop skills to work in a salon or spa to add to their professional services! 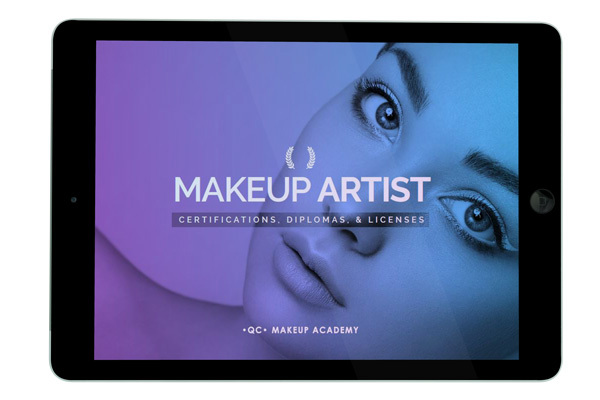 Learn about the benefits of a makeup artistry certification for your career in the industry! You’ll find out what a makeup artist’s certificate is, the type of education it demonstrates, and the advantages of working as a certified makeup artist. 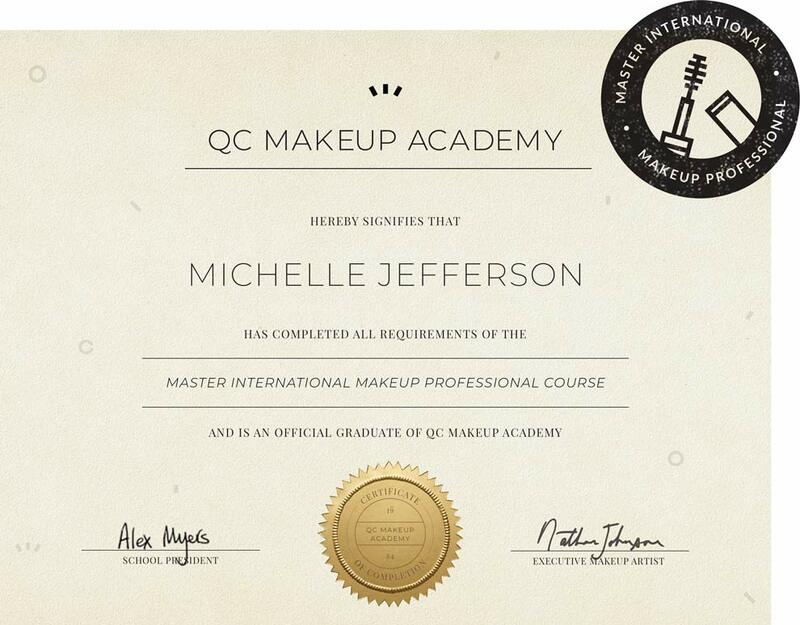 How does a makeup certification differ from a makeup diploma? Does every state and province require makeup artists to have a license? What does a makeup artist certification have compared to a license? Use QC’s free e-book to find the right makeup career for you! Find out how to research education requirements for your area and how to decide on a makeup school! You’ll also learn how to look up the job requirements for makeup artists in salons and with cosmetic brands.